Wall labels and bulky audio guides are beginning to look like artifacts from an “ancient history” wing. Today’s curators are teaming up with Silicon Valley firms and experimental designers for exhibit-enhancing ideas and technologies. The real trick, curators say, is integrating experiences without overwhelming the art. The best examples engage smell, taste and hearing alongside that old standby, sight—the sense that stands to gain the most from emerging technology. Even London’s Natural History Museum (est. 1881) is transporting visitors to the underwater world of 500 million-year-old sea creatures—with a little help from virtual reality headsets. The future, it seems, will even bring the past to life. The title of a recent exhibit at New York’s Swiss Institute—“Pavillon de L’Esprit Nouveau: A 21st Century Show Home”— was borrowed from a Le Corbusier model home that scandalized organizers in 1925. The “Show Home” exhibit also featured a house—but not in brick and mortar. Thirty tech-heavy pieces of furniture were positioned to mimic the arrangements you might find in a home, but set in a kind of tabula rasa. 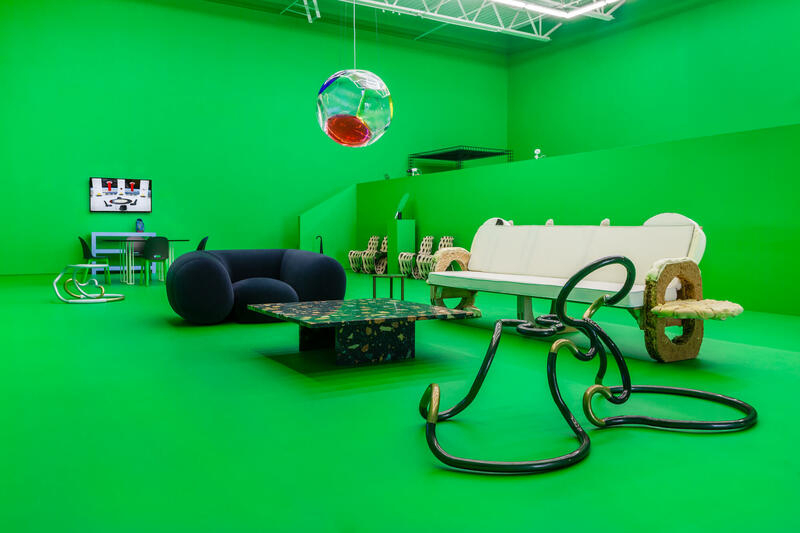 The Swiss Institute painted its floors and towering walls a Kermit-colored green, and visitors were captured, CGI-style, as they wandered through a green expanse accessorized with table and chairs. The guests saw their images projected in real time onto digitally enhanced backdrops of everything from a garden to a nightmarish panic room. In August, London’s Tate Britain added perfume puffers, hidden speakers, ultrasound vibrations and even chocolate-based chews to “Tate Sensorium,” a show of paintings by British masters like Francis Bacon. London chocolatier Paul A. Young designed confections to enhance the artist’s imagery by infusing chocolates with edible charcoal, smoke, oranges and flowers. Accompanying scents ranged from freshly cut grass to hairspray to glue. Michelle Finamore, curator of fashion arts for the Museum of Fine Arts, Boston, believes that technology-driven pieces require technologically enhanced exhibit designs. “People expect it now, so we’re always trying to take things to another level,” she says. Finamore is brainstorming ways to get viewers involved with the high-tech clothing in her upcoming exhibit, “#techstyle,” opening March 5, 2016. Visitors will be able to send tweets to a black chiffon cocktail dress designed by London duo CuteCircuit and see their messages scroll across the gown, thanks to micro LED lights embedded in the fabric.